Learn about chickenpox using a variety of media. Date Released: 9/29/2011This podcast discusses chickenpox, its symptoms, how it spreads, and how to protect you and your family from getting it. Parents of Kids with Infectious Diseases (pkids.org) recorded the stories of 8 familiesExternal affected by vaccine preventable diseases. 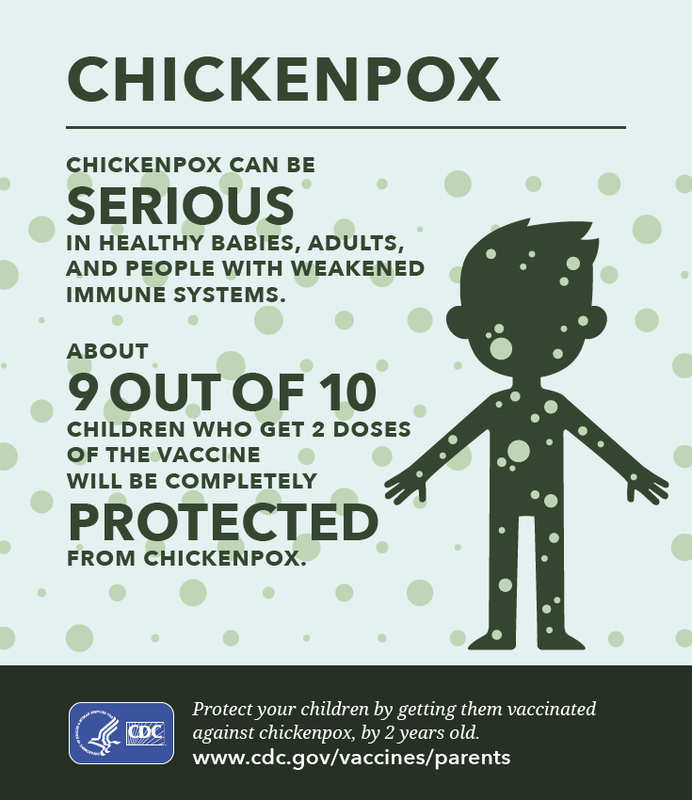 This infographic shows the impact and success of the chickenpox vaccination program in the U.S.